Scouts fill the pews of St. Patrick’s Cathedral for the archdiocesan Emblem Sunday Scouting Mass celebrated by Cardinal Dolan April 22. Honors were given to 158 scouts at the afternoon liturgy, which was attended by 900 people. Cardinal Dolan presents medals to the scouts with assistance from Msgr. Anthony Marchitelli, scouting chaplain. Deacon Christopher Mendoza of St. Columbanus parish in Cortlandt Manor distributes the Eucharist. Samara Vazquez was among the 158 scouts honored at the archdiocesan annual Emblem Sunday Scouting Mass at St. Patrick’s Cathedral, a special liturgy at which Cardinal Dolan served as principal celebrant. She was one of 22 Girl Scouts, ages 12-15, to receive the Marian Award, established by the National Catholic Committee on Girls’ Organizations to help girls grow closer to God through imitation of Mary’s life of prayer and service. The Mass was attended by about 900 people, including the scouts, family members and friends, scout leaders and general Mass-goers. The Mass, which honors Catholic scouts in grades 6 to 12, is sponsored by the archdiocesan Catholic Committee on Scouting. Cardinal Dolan, in his welcoming remarks, said the Emblem Sunday Scouting Mass gives all the opportunity “to give thanks to Almighty God” for the noble involvement of the scouts and the service of the scout leaders. “To our leaders: we thank you very much, and also to our parents,” the cardinal said later in his homily. “A shepherd always keeps his sheep together,” Cardinal Dolan added, noting how scout leaders see to the well- being of the scouts in the manner of Jesus the Good Shepherd, whose feast was marked that day. The cardinal also spoke of the Church’s mission to keep the faithful together, which is especially important in today’s society. 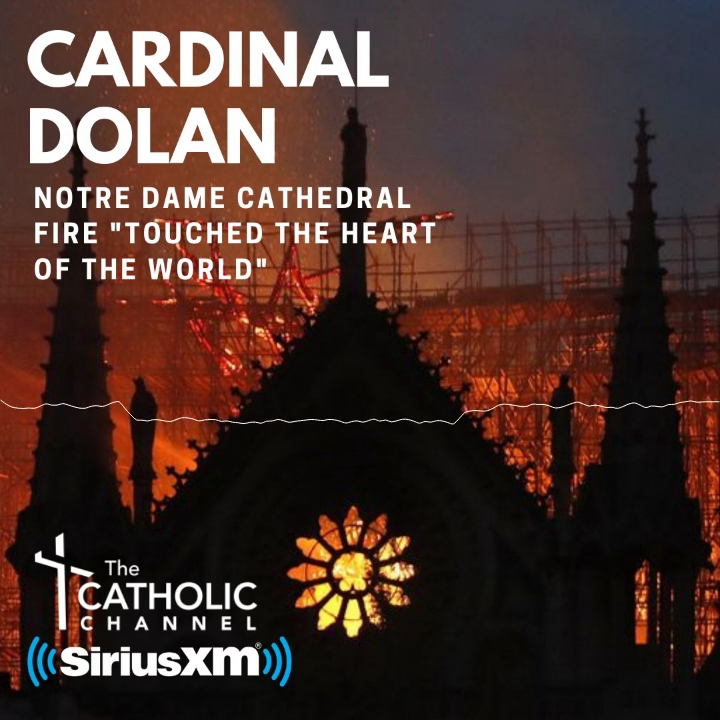 Cardinal Dolan noted that the virtues associated with scouting membership stem from the same special virtues mentioned in the Bible, such as being trustworthy, loyal, courteous, kind, helpful, obedient and reverent. “This is wonderful; the boys work so hard with the Ad Altare program—it helps build their faith,” Eileen Higgins, a parishioner at St. Joseph in Somers, told CNY before Mass, as she and her son Owen, a Cub scout of age 7, and other family members settled in one of the side pews. Among the award recipients was the other scout in the family, Liam Higgins, 13. He was in the opening procession and one of 101 scouts who received the Ad Altare Dei Emblem. The Ad Altare Dei (to the altar of God) program seeks to help Catholic scouts develop a fully Christian way of life, based on the seven sacraments. Mrs. Higgins expressed joy over the recognition that her son Liam was about to receive, and the scouting membership of Owen, who said he especially enjoys hiking and camping. The Mass also honored 13 adult scout leaders with awards: the Bronze Pelican Award (six recipients); the St. George Award (three recipients); and the Pope Paul VI National Unit Recognition Award (four recipients). St. George is the patron saint of scouting. That award was presented to Father Mark G. Vaillancourt, president and principal of John F. Kennedy Catholic High School in Somers; Father Michael Cichon, pastor of SS. Peter and Paul and Assumption parish on Staten Island; and Deirdre Dunn-Haddad of St. Patrick’s parish on Staten Island. The two lead organizers of the Mass, Michael Amico and Walter Gaceta, expressed delight to CNY over the way the sacred gathering went, and with the words of support and inspiration from Cardinal Dolan.